Could it be because in his heart he knows that the demolition of this historic, architectural gem will be a great loss to the Italian Community in Worcester and all the Italian parishioners that were a part of it, including himself! He grew up in an Italian family as a member of the parish and perhaps was encouraged to become a priest as a member of Mt. Carmel Church. As a former member, priest, pastor and leader of the parish he failed by not doing more to save the parish and the beautiful church. “Thanks for the memories” doesn’t cut it and is not enough! Dwindling parishioners (as is happening in all Catholic Churches) isn’t enough, and dwindling collections (as is happening in all Catholic Churches) isn’t justification. The Diocese planned to close this church years before Msgr. Pedone arrived as it’s last pastor. He seems apparent he was assigned to Mt. Carmel to close it and he succeeded. Mt. Carmel parish was merged with Loretto parish, which also has dwindling parishioners and dwindling collections. A great majority of Mt. Carmel parishioners did not go to Loretto, and most are in limbo, heartbroken and losing faith due to the possibility of the destruction of their Church, in the way the closing was handled. Many parishioners have become active members of the Mount Carmel Preservation Society, whose goal is to save the Church from being demolished and save their Italian heritage. It is the responsibility of the Diocese led be the Bishop to serve their parishioners who support their church and over the years Mt. Carmel was financially supported by their parishioners past and present and up to it’s closing remained among the top ten parishes for their monetary collections. We were mislead when told the Church was not safe and abruptly closed and locked. The Church was ordered by the City with influence by the Historical Society to be made safe to be structurally sound, and that was accomplished. Any evaluation of the inside has been rejected. The City of Worcester engineer stated before a City Council Meeting that the Church does not need to be demolished. Whatever inside work that needs repair, i.e. ceiling rosettes could have been completed and any other repairs made over a period of time. That’s the plan the Diocese could have taken and kept the parish active and performed weekly Mass in the adjacent Mt. Carmel Recreation Center until knition repairs made. The reverse merger should have been made with Loretto coming to Mt. Carmel and that church closed. With proper planing, proper leadership and fundraising Mt. Carmel parish did not have to be merged with Loretto, but the long term plan of the Diocese was their determination to sell Mt. Carmel Church and surrounding campus to enhance their coffers by Millions. This is their plan, as shown in an elaborate marketing brochure created by their real estate representative. 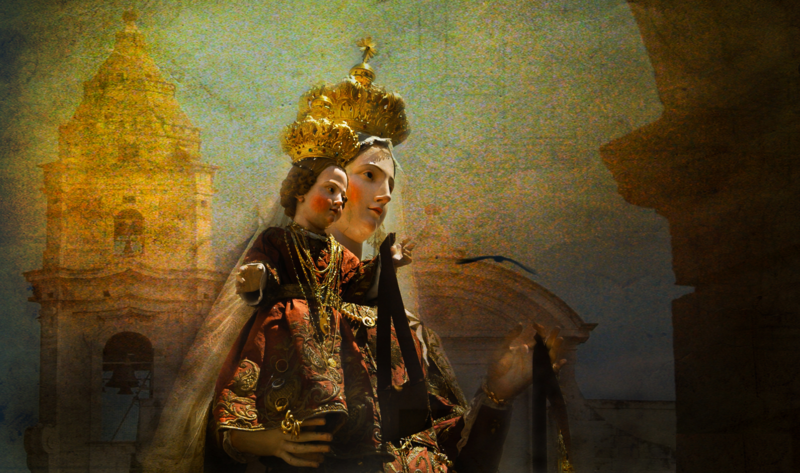 The long range plan of the Mount Carmel Preservation Society seeks to save the Church from demolition and do any and all that can be done via Cannon law and any other means, the save the Church as a Shrine to Our Lady of Mount Carmel. Keep the structure a scared place, and have celebratory Masses, weddings, funerals from time to time and reach out to all neighbors to work with us for their benefit. The Mount Carmel Preservation Society will aim to maintain the Shrine and sustain it for sacred usage by any and all who wish to be a part of it. We pray for the blessings of the Msgr. and Bishop to attain this status. It could happen! It should happen! Sell the balance of the campus, but retain the Church as a Shrine to Our Lady of Mt. Carmel.